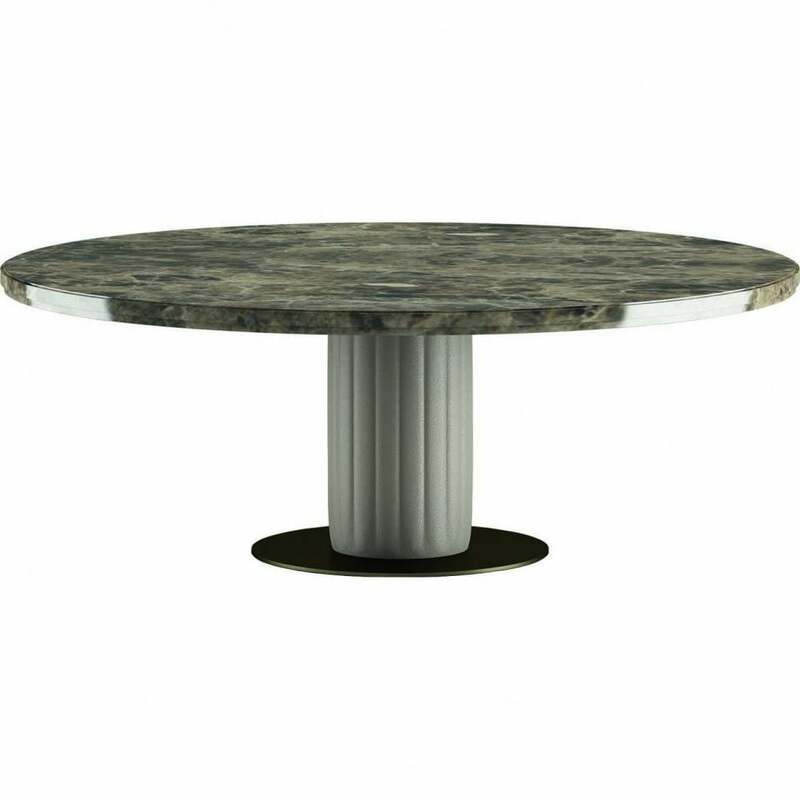 Make a grand statement with the Byron Round Dining Table. Part of the luxury furniture collection by Daytona, each piece is hand-crafted by skilled artisans to create a bespoke piece to suit your interior requirements. The base is formed using solid lindon wood upholstered with grosgrain design leather. The lower part is sculpted from steel with an on-trend brass finish. Shown here with an emperador marble top, choose from a variety of high-quality marbles or wood to complete your look. The base is also available in fabric or nubuck leather. Style with the Isabel chairs for a chic look and combine with warm or cool toned materials depending on your scheme.